Fifteen years ago our Baltimore-based business, Ellicott Dredges, bought Liquid Waste Technology (LWT), a small Wisconsin company in Somerset. At the time LWT had only 20 employees and served mostly a domestic market for high tech dredges. Over the last 15 years we have quadrupled the workforce to 80 and moved a few miles east to a brand new multimillion dollar facility in New Richmond, Wisconsin. What made that possible? In a word: exports. 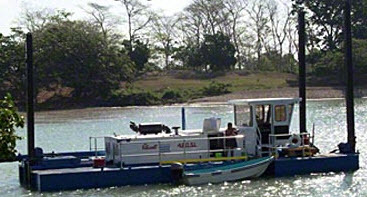 Ellicott Dredges is a 129-year-old company which gained a reputation as a world leader in dredging equipment starting with our claim to fame from building all of the dredges used in the original construction of the Panama Canal. Since the Panama Canal sales over a century ago, we’ve grown our export business to the point where it’s now well over half of our total sales. We have brought that exporting expertise to acquisitions that we have made, such as LWT. One needs more than a good product and good exporting expertise to sell construction equipment around the world. The missing ingredient everywhere is financing. Buyers frequently cannot afford to acquire multimillion dollar machines, or even several hundred thousand dollar machines for that matter, without access to financing. Sometimes they can organize it on their own through private sources, but it’s not uncommon for them to rely on export credit agencies such as Ex-Im Bank to bridge the gap. Without Ex-Im we’d lose some sales to European competitors. We already have experienced customer push-back based on the fear that Ex-Im will not be available. Ex-Im is absolutely critical—not just to growing our business—but to keeping it at the level where it is today. This is the real world in which original equipment manufacturer (OEM) exporters like us operate.